FIG is a critical partner with defense organizations around the globe providing training and simulation products and services. We have a respectable footprint, covering a nationwide customer network. We deliver mission readiness by preparing soldiers, crews and battalions for their operational missions. We work in partnership with our customers to deliver the best training outcomes, working as a partner or prime contractor. Our team of associates has served the MOD, MOI and its agencies for over a decade. 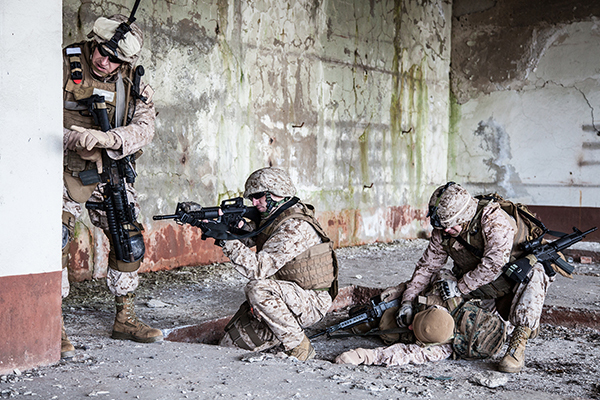 Each member of our training team hold advanced training certificates in Project Management, Gunnery methodologies, marksmanship training, or operational staff training. FIG delivers fully developed training support packages and highly skilled trainers to support your organizational training strategies. Our flexible and adaptable programs are designed to be delivered as staff augmented training teams or temporary mobile training teams. We have built a team that is strong, trained and motivated, and one that is more than 90 percent comprised of veterans and retired military personnel from all over the world. Our work scope is expansive. Whether we are educating and providing literacy training, mentoring for battalion and brigade staffs, training elite infantry units in conflict zones, or supplying field technicians and instructor operators for virtual training devices, FIG Training Solutions is a trusted partner.